It's a familiar scene: you're happily tootling along and then suddenly you notice that your car is trying to pull you to the left/right. You've got a flat car tyre and now you have to set about changing it. It can happen to anyone despite keeping up with your tyre maintenance. However, no one taught you how to do it; it wasn't part of your driving test after all. Not knowing how to change a tyre is a relatively common problem, so don't feel bad if you've no idea where to start when you get a flat tyre. While practice makes perfect, here is a practical guide to help you get your vehicle moving again. The first thing you need to do is see if you have a spare tyre and if it's in full working order. Many people forget to check the condition of their spare tyre or replace it, which means you could be in trouble the next time you have a puncture. Many modern cars don't have spare tyres to save space but instead include a puncture repair kit, so if you can't find your tyre don't panic. You don't want to start changing a flat car tyre if you don't have everything you need, so you need to make sure you're fully prepared first. If you have to change a tyre, you need the vehicle handbook (this contains specific information, such as where to attach the jack), the spare wheel, a vehicle jack, a wheel-nut wrench with extension bar and locking wheel nut adapter if fitted, at least one wheel chock, gloves, something to kneel on, a sharp knife or cutters to remove cable ties, torch, reflective jacket and sensible shoes. 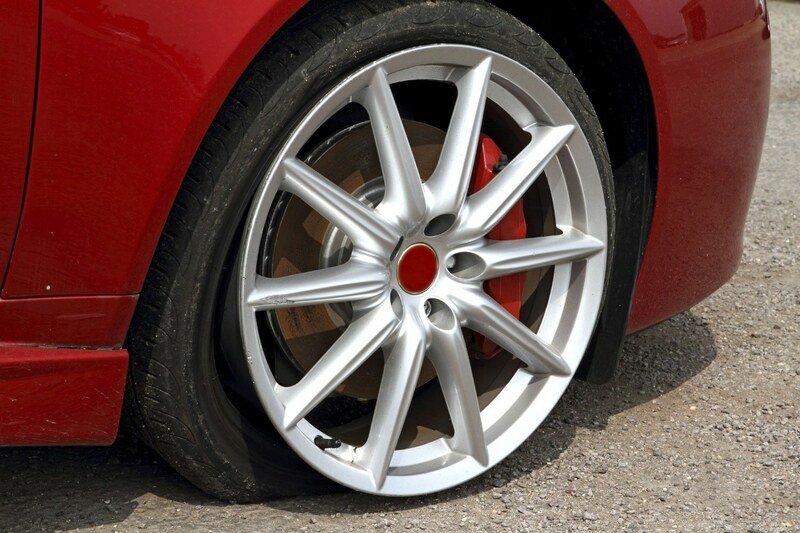 You should never change a wheel on the hard shoulder of a motorway or on soft, loose or uneven ground. If you get a flat tyre on the motorway call for recovery assistance. Passengers need to be out of the car and in a safe area before you attempt to change a tyre. It's unsafe to jack a vehicle with people still in it and even if the weather is bad, passengers have to be out. Before you start to change the tyre you need to switch off the car, apply the handbrake, engage first gear or 'P' if it's an automatic, chock the wheel diagonally opposite the one to be replaced, and switch the hazard lights on. Once this is done you need to remove the wheel trim and place the jack in the recommended lifting position. Your vehicle handbook will tell you how to do this correctly. Once all the above steps have been completed, it's time to start lifting the car. The jack needs to be raised so the wheel is just clear of the ground. Using the wheel brace and locking wheel-nut adapter, turn the wheel nuts/bolt anti-clockwise to undo. The top nut/bolt should be left until last so it's easier to lift the wheel off. Attaching the new wheel is reasonably simple. Place it in the required place and then tighten the top nut/bolt and work your way around the tyre diagonally. Lower the car carefully back to the ground and remove the jack. Tighten the bolts no more than ½ a turn past tight or tighten to manufacturer recommendations. Store the damaged wheel safely in the boot, along with your tools. After a short journey, re check the bolt tightness and when you are having your flat tyre replaced, ask the mechanic to also check the wheel and tyre you fitted. Spare tyres generally aren't designed to go above 50mph and need to be replaced as soon as possible.